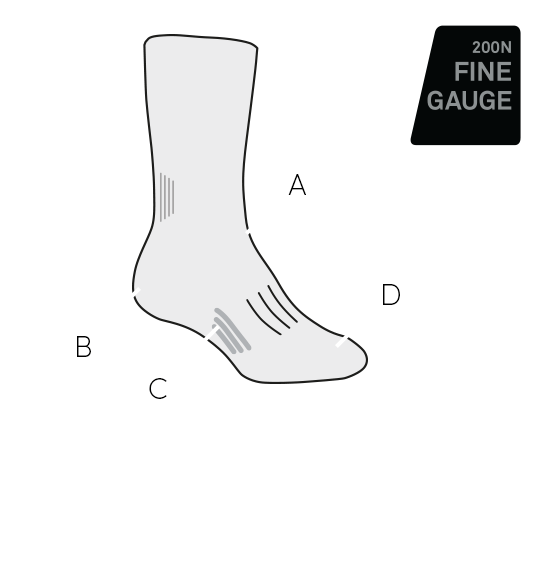 A super-soft, lightweight sock for all-day comfort, the Lifestyle Fine Gauge Crew Cook By Night adds an element of luxury to every day. The blend of ultra-fine merino and nylon makes these socks both silky soft and durable. Strategic support zones help with fit and stability, and the seamless design keeps blisters at bay. The mountain-inspired graphic adds an outdoor twist to the classic black sock.